Paris (AFP) – An Air France A380 superjumbo carrying more than 500 people made an emergency landing in Canada on Saturday after suffering “serious damage” to one of its engines, with passengers recounting hearing a loud bang followed by violent shaking. 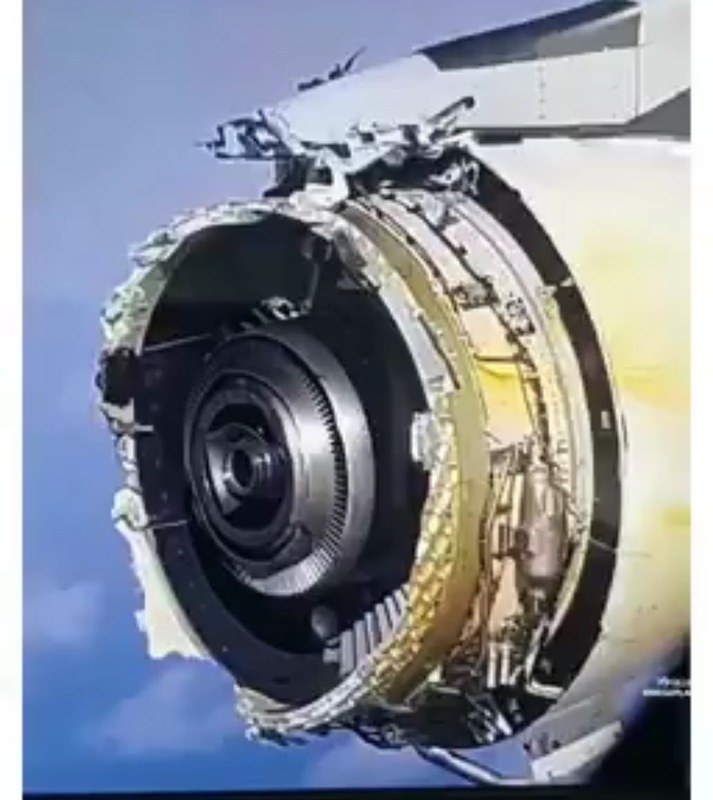 Video and photos posted on social media showed extensive damage to the outer starboard engine, with part of its external cowling apparently sheered away. The double-decker wide body aircraft carrying 496 passengers and 24 crew had taken off from Paris bound for Los Angeles and was several hours into the flight when the incident occurred. Passenger Sarah Eamigh told Canadian broadcaster CBC News she heard a “boom” followed by a sudden drop in altitude. “The cabin started vibrating. Someone screamed, and from there we knew something was wrong,” she said. The plane was diverted as it passed over Greenland and landed safely at a military airport in Goose Bay, eastern Canada, at 1542 GMT, a spokesman for Air France said. “All of the 520 people on board were evacuated with no injuries,” the spokesman told AFP. The cause of the problem was not immediately clear, but David Rehmar, a former aircraft mechanic who was on the flight, told the BBC that he thought a fan failure may have been to blame. “You heard a loud ‘boom’, and it was the vibration alone that made me think the engine had failed,” he said. Rehmar said that for a few moments, he thought “we were going to go down”. Another passenger, John Birkhead, told the New York Times that he and his wife had just stood up to stretch when they heard an explosion. 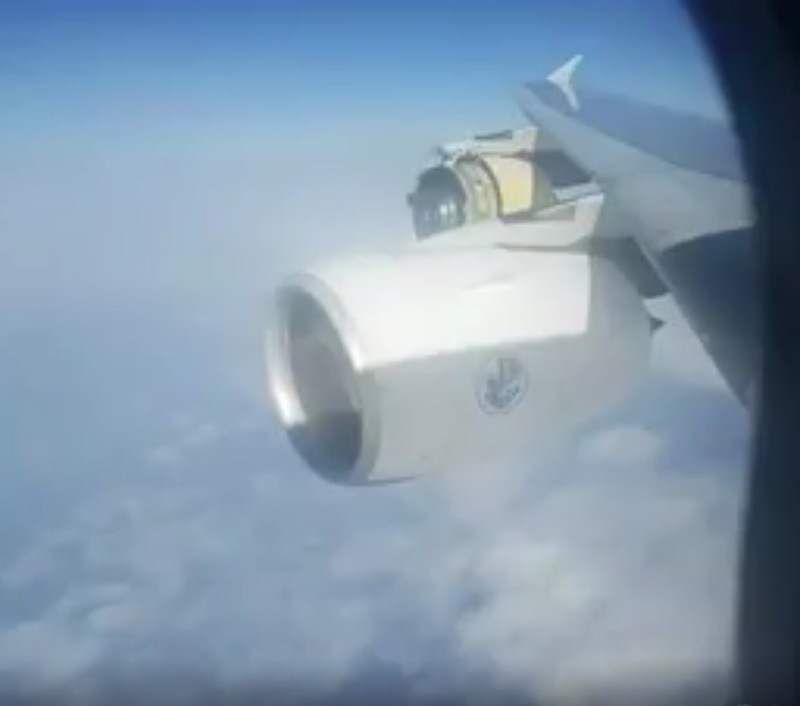 Passenger Miguel Amador posted video footage apparently filmed from a window of the plane showing the damaged engine. “Engine failure halfway over the Atlantic ocean,” he wrote. 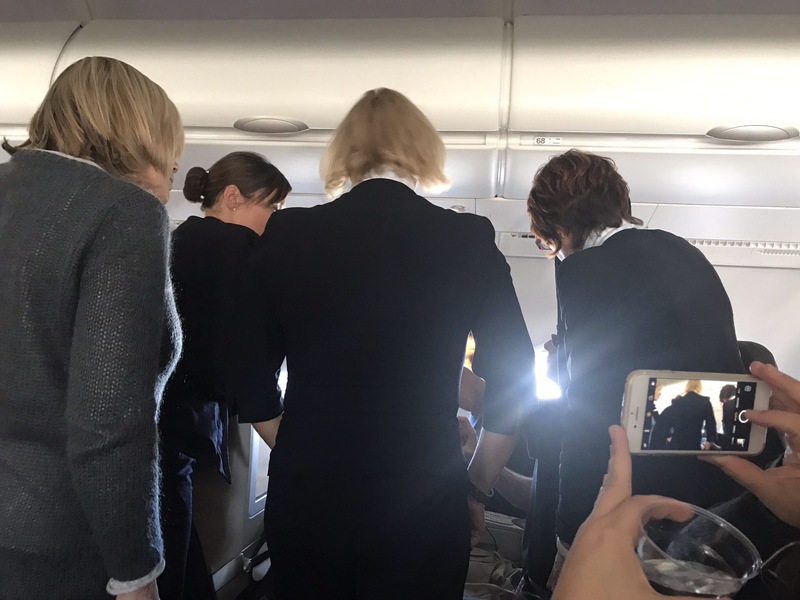 Passenger Pamela Adams said everything on the flight had been normal “and suddenly it felt like we had run into a jeep in the middle of 35,000 feet high”, she told CBC News. She said she was “jostled” and the plane dipped slightly “but the pilots recovered beautifully”. “There wasn’t the panic that I would’ve expected,” she said, praising the pilots for the way they handled the incident. The airline said it would fly the affected passengers to Los Angeles aboard two planes on Sunday morning. While Goose Bay is a military base operated by the Royal Canadian Air Force, it is also a designated standby airport for diverted transatlantic flights. Air France operates 10 Airbus A380s, the largest passenger planes in the world. Their version of the plane uses GP7200 engines, a giant turbofan built by General Electric and Pratt and Whitney of the US. In 2010, a Qantas A380 was forced to make an emergency landing in Singapore when one of its Rolls-Royce engines failed, causing the airline to ground its fleet of the superjumbos for weeks. Sales of the mammoth A380 have been sluggish and Airbus has said it will reduce production in 2019 to just eight of the planes. In 2015 the company produced 27 of them. Nonetheless, Airbus CEO Tom Enders recently voiced confidence in the future of the plane.